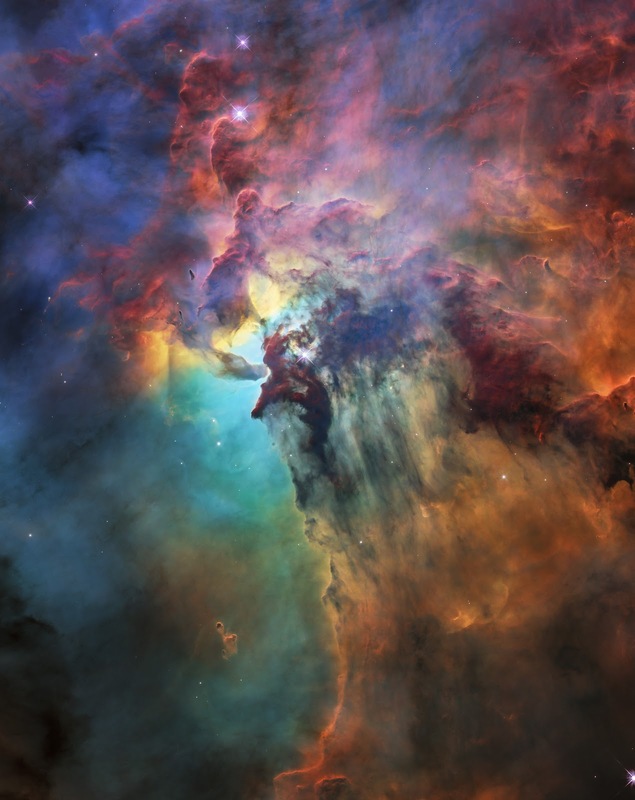 To celebrate its 28th anniversary in space the NASA/ESA Hubble Space Telescope took this amazing and colorful image of the Lagoon Nebula. The whole nebula, about 4000 light-years away, is an incredible 55 light-years wide and 20 light-years tall. This image shows only a small part of this turbulent star-formation region, about four light-years across. The observations were taken by Hubble’s Wide Field Camera 3 between February 12 and February 18, 2018.